1. 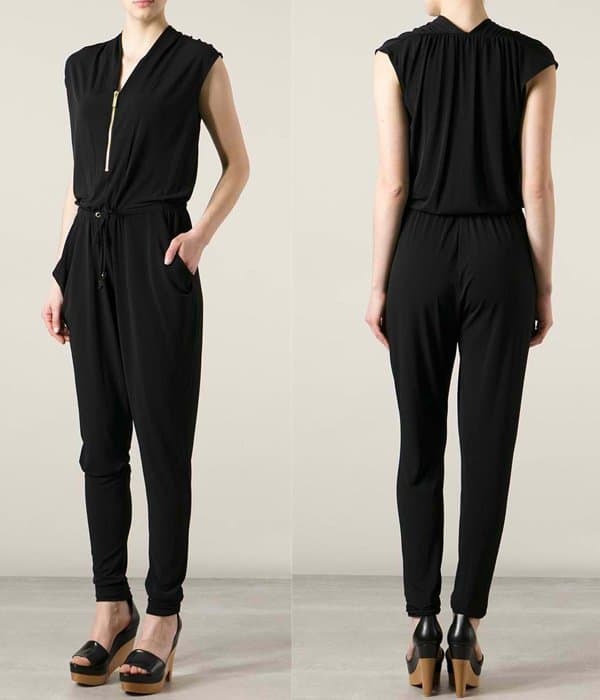 Look for a cropped pair of jumpsuit to show off your legs. Tall girls like Zendaya Coleman can pretty much wear any length of jumpsuit. But a cropped one should work for those lacking in curves to shift the attention to the legs. 2. Add more shape with a wide-legged pair of onesie. Wide-legged onesies look classier as they mimic the look of a long dress. If you are quite tall like Julia Roberts, it should give you a more feminine silhouette without compromising your comfort. 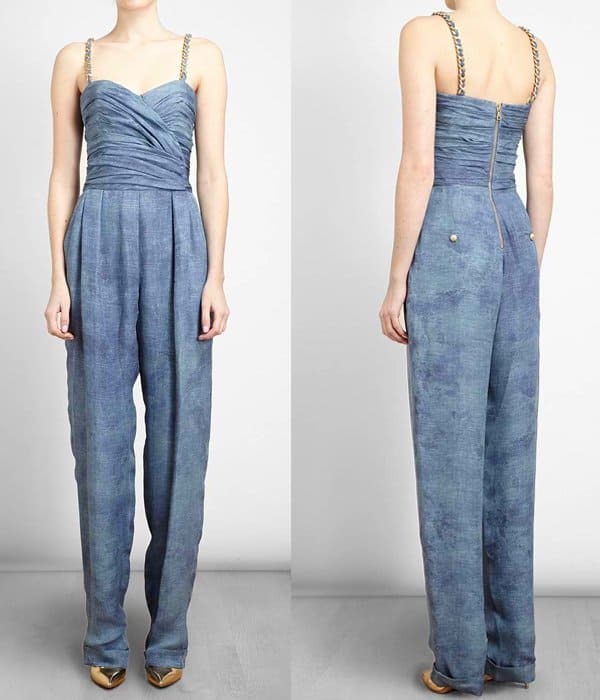 This style of jumpsuit is perfect if you are attending more formal events. 3. Shin-length jumpsuits with a bustier top is universally flattering. Even petite girls can wear a jumpsuit in this style and length. It’s also a great option for warmer days. 4. 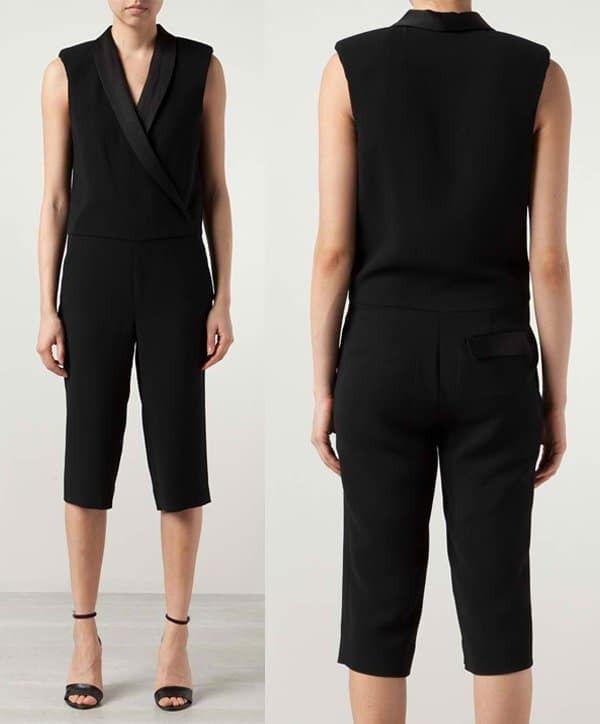 A jumpsuit with a loose bottom helps add more volume if you are more on the skinny side. The loose bottom adds more hips and gives your body a sexier silhouette. Take it from Heather Graham. 5. 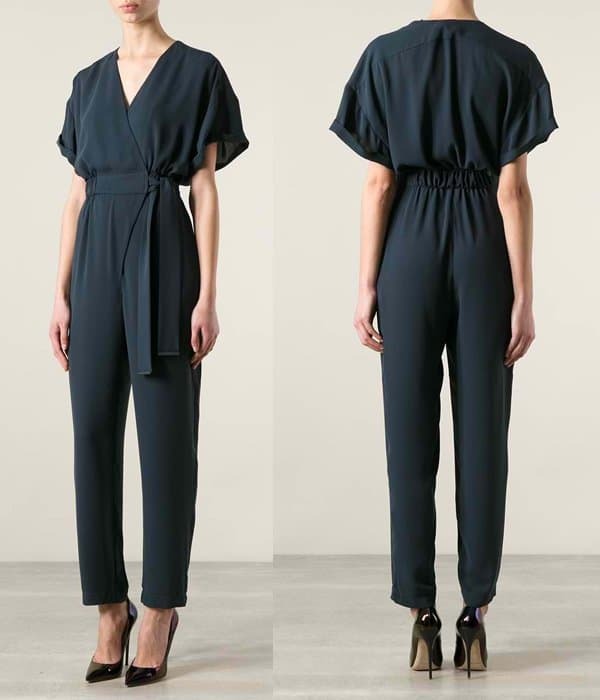 If you’re pear-shaped, go for a jumpsuit with a belted waist and a V-neckline. The V-neck will draw attention away from the fullness of your hips, and the cinched waist will help make your body look well-proportioned. Also, if you have a semi-full shape and on the petite side, stay away from onesies with large busy prints. A monochrome one would be a better choice. 6. 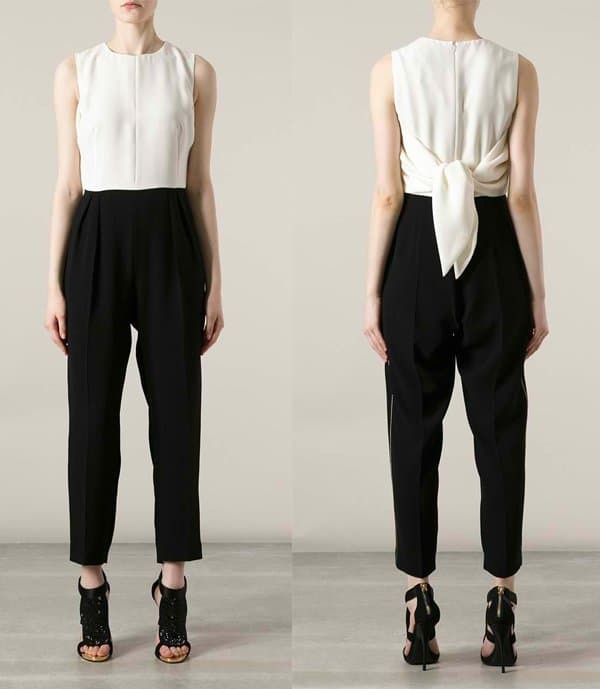 Show off your ample bosom by going for a bustier top jumpsuit with a cinched-waist detail. Well-endowed women should show it off with a bustier top jumpsuit. It will give the bottom half of your body ample coverage so you won’t look trashy at all. The cinched-waist detail will also help create an hourglass silhouette, making you look sexier. We hope these tips help you find the perfect jumpsuit that you can wear to impress. Happy hunting!